While observing young children, we found that most things of interest to them are not figurative but everyday objects that are not intended for play! Children find their own imaginative purpose for any object already in the home. 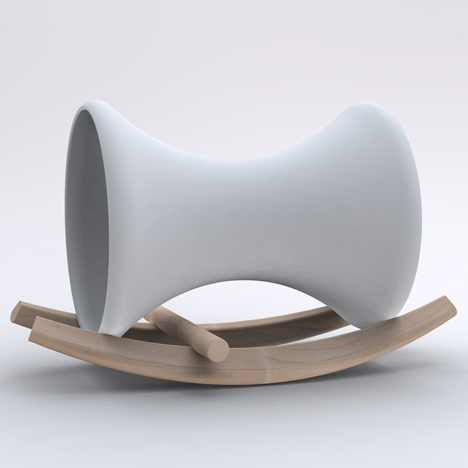 This observation prompted us to create a “Rocker” for Richard Lampert that is like a found object, an improvised ride. 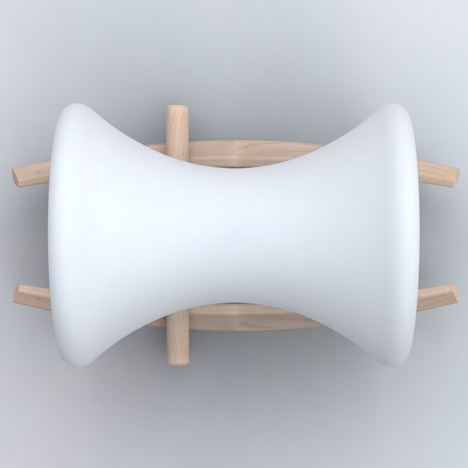 Moulded seat with solid oak rockers.